Some of these service operations affect the SRS airbag system. 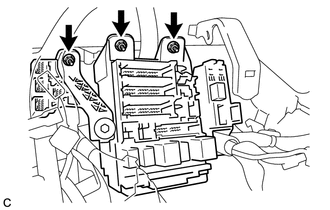 Read the precautionary notices concerning the SRS airbag system before servicing (See page ). Be sure to read "Precaution" thoroughly before servicing (See page ). 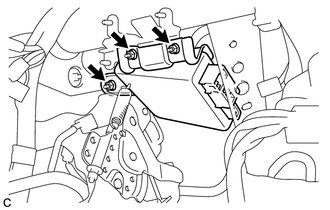 Refer to the instructions for Removal of the knee airbag assembly (See page ). (a) Separate the wire harness clamp from the driver side junction block assembly. (b) Disconnect the connectors from the driver side junction block assembly. (c) Remove the 3 nuts. (d) Disconnect the connectors from the back of the driver side junction block assembly. 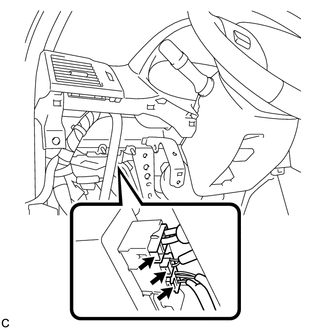 (e) Disengage the 2 claws to remove the driver side junction block assembly. 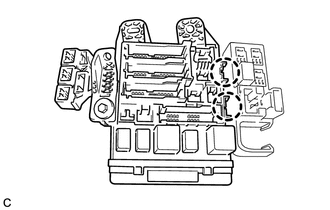 (a) Disconnect the 3 connectors from the power steering ECU assembly. 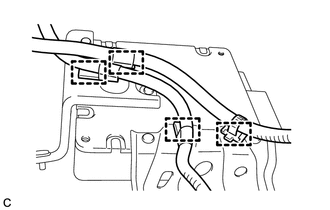 (b) Disconnect the connector from the power steering ECU assembly. 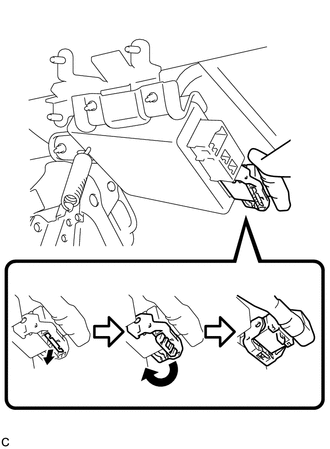 Pull out the lock of the lock lever, disengage the claw, and raise the lock lever to disconnect the connector as shown in the illustration. (c) Remove the 3 nuts and power steering ECU assembly.